Step aside, seafood stew. Move it, mulligatawny. Let there be borscht! 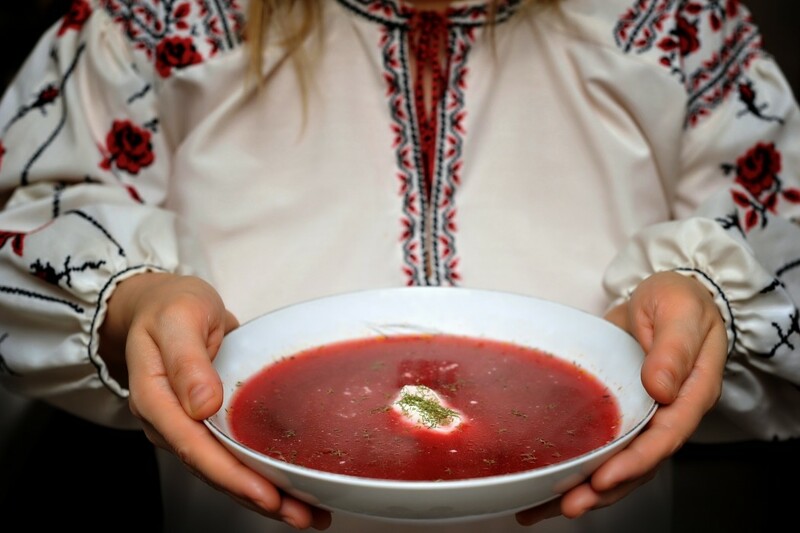 For this first-generation Ukrainian, there is nothing quite like a bowl of steaming hot borscht to give me a hug from the inside on a cold day and revitalize my winter-worn spirit. The main ingredient in borscht is the beetroot, but that’s just the beginning. Its supernatural alchemy lies well beyond its red color and earthy essence. The fact that there are so many spellings for this Eastern European dish (borscht, bortsch, borsh, borshch, etc.) attests to just how many cultures claim it as their own ethnic cuisine. 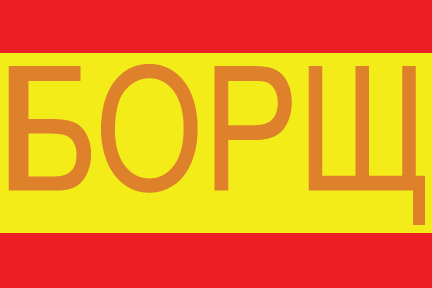 Ukrainians, Poles, Russians, and Jews all have distinct varieties. The fact is, there is no one single, quintessential borscht recipe, but thousands. Some say there are as many varieties of borscht as there are those who make it. With the holiday season upon us, it seems apropos to focus on one very specific version, a Ukrainian vegetarian Christmas borscht which is sometimes referred to as a “sipping” borscht: It is a pristine consommé, a pure elixir with seemingly magical properties. From its deepest red hue to the robust aroma, having a bowl of borscht is like being transported in time to some quaint Carpathian hamlet. One has visions of wrinkled hands carefully handling each beet, peeling away the skin. You can almost hear an old village woman humming an ancient melody as she creates this ancestral fusion of flavors, which she has done hundreds of times before. The songs as well as the borscht recipes have been passed down from mothers to daughters for generations. And Ukrainian folklore says that if you add too much salt to your borscht, you may fall in love quickly, so be careful to whom you serve it. No two families makes their borscht the same way. Some like it hearty, akin to minestrone. Some like it full of shredded beets and heaps of sour cream, which turns it the most amazing shade of pink. But the real magic is in the seasoning. Without the right seasoning, you might as well have a glass of beet juice. Vinegar, mushroom essence, red wine, garlic, salt, pepper, sugar, lemon juice, and even ketchup may all find their way into a pot of rustic borscht. As I think back to many Christmas Eve dinners with my family, I always remember a friendly controversy to determine just the right flavor of the borscht. It’s as if every single family member fancied him or herself an expert, and the seasoning process took on a competitive, almost contentious vibe. The cooking of the borscht would start innocently enough: We would add all the ingredients, including the pre-boiled beets, to our mushroom stock (usually made from dried mushrooms often originating in the forests of Western Ukraine). We’d add all our various spices and seasonings, and then we’d taste it, over and over again. Suddenly everyone—including cousins, uncles, aunts, and even guests—would find their way into the kitchen to surround the stove, taking in spoonfuls, followed by very pointed opinions. (I believe the phrase “too many chefs spoil the broth” originated in a borscht-making household.) A veritable palate power play then takes place, but a consensus might never be reached. Some years, the pepper would destroy the borscht entirely (although we’d eat it anyway). Sometimes it was as perfect as it gets, and you’d close your eyes and suddenly your heart would be transported through hundreds of years of history via the beet time machine. You always knew you were eating something very, very special. A traditional Ukrainian Christmas Eve dinner consists of 12 courses, and the borscht is but one. It is usually paired with another course, known as ooshka (which means “ears”). Oohska are tiny, tortellini-shaped dumplings filled with mushrooms, bread crumbs and seasoning. They float in the beautiful red borscht, waiting to be devoured, and there never seem to be enough of them to go around. An empty place setting (replete with borscht and ooshka in the bowl) is included at the dinner table to symbolize our deceased family members. We eat with the ghosts. Among the souls who have passed on into the next life is my grandmother (babcia) Maria, who taught my mother how to make borscht; who, in turn, taught me. I always wonder if this year’s borscht will meet with Babcia Maria’s approval. If her spirit is indeed floating around somewhere above us, surely she’ll know if we’ve over-seasoned it this time. If you decide to make it for yourself, seasoning it will be your biggest challenge and give you your biggest reward. Little by little, bit by bit, offer your pot little doses of tang, zip, and gusto, until you’re at the very edge of over-seasoning it. Your borscht will become part of your family’s story. And if you really must add sour cream, know that in many borscht-making households, the use of sour cream may be viewed as an insult. It takes years of practice to perfect it, but just one attempt will convince you to embrace borscht into your own life and create your very own version. Warning: Your kitchen will look like a bloody crime scene. It’s just part of the experience—the passion you’ll feel with the borscht-making process will elevate the endeavor from mere cooking to a creative culinary adventure. With the holiday season upon us, it seems apropos to focus on one very specific version, a Ukrainian vegetarian Christmas borscht which is sometimes referred to as a “sipping” borscht: It is a pristine consommé, a pure elixir with seemingly magical properties. Now the best part: making the magic! ‘Tis the seasoning! Carefully start adding salt, a bit of sugar, pepper, dill, some red wine, apple cider vinegar, fresh lemon juice, and ketchup (seriously! ), tasting as you go. Keep adding each of these ingredients in small amounts, little by little — The taste should be a combination of sweet, savory, with a good acid kick (vinegar and/or lemon) and a slight pepper sharpness. Bring the seasoning to a strong intensity. This great balance is the key to a great borscht. Oy! Sip as-is — or add a small dollop of sour cream to make it bright pink! Usually this “sipping” borscht is made to accompany little tortellini-shaped dumplings filled with mushrooms called ooshka. This is just one variety of hundreds of borschts in the world. For a heartier borscht, you can also add things like chopped potatoes, carrots, peas, beans, mushroom pieces, cabbage, and chunks, instead of shredded, beets. You can also use a meat stock instead of mushroom base… There are loads of borscht recipes online — experiment and find the one that’s just for you.